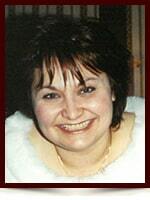 Michelle Diane (Tally) Petasky - Edmonton's Burial & Cremation Professionals | Trinity Funeral Home Ltd.
On Tuesday November 22, 2016 Michelle Diane (Tally) Petasky of Edmonton passed away at the age of 47. Michelle leaves behind her loving children: Chantelle Gibbs (Noah Keith), Shane Gibbs of Edmonton; her parents: Diane (stepdad Tom Evans) Tally of Edmonton and her father Dan Tally of Edmonton; sisters: Leanne (Paul) Zukowski of Kelowna, Danielle (Ray) Dalton of Edmonton, stepbrother Chris (Susanne) Evans of Edmonton; her nieces: Kassandra, Mykayla and Henna; her nephews: Brody and Renton; three grandchildren: Benjamin, Braelyn and Kaeden; her grandmother Lucy Evans as well as numerous other family and friends. Michelle was predeceased by her grandparents Steve and Kate Smolak and Mac and Anna Tally. My deepest condolences to your family! I have so many great memories of many Saturday night visits and giggle sessions with Michelle when we were little! May she rest in peace. We are sending our heartfelt sympathy and caring. Our deepest condolences to you all. Our heart goes out to each of you…? Our depest condolences to you all Our heart goes out To each of you…? When death wakks by with quiet thread To touch a loved one who’s then led Away from sleep, away from pain To wake in joy to live again… You’ll hear her ona whispered breeze, A calling bird in sawing trees, Do not weep long, but lift ypu eyes. You’ll see her glory in Gods Skies. She’ll be there in a swallow’s flight, Her eyes in Sears on a velvet night. Her courgette strong in every tree, Her name carved well,for eternity. Hide not your love within your heart,For she will always be a part of you and everything you do, For death is nought, when love is true… Love you will miss you. Aunty Mary Ann & Uncle Orest and Familey. Our heartfelt condolences to Danny & family. We hope this poem will help to comfort you. You were such a bright and loving woman, and had a heart of gold! You will be deeply missed and loved by all! My condolences to the family. Love Ashley & Kaeden . You were my FIRST friend, my FIRST cousin… Memories last forever! I remember all the fun times at Baba and Geedo Smolak’s, especially the Christmas Eve magic – the food, Santa and Geedo’s “fireplace”. Each time I cut my head open, I was also with you- dancing to the Chipmunks and falling to the coffee table and then jumping on Baba and Geedo’s bed and falling yet again…all my holes in my head! Our childhood memories will always remain close to my heart! Rest in peace Michelle! Blessings to you as you celebrate your first Christmas in heaven. Hugs. My deepest condolences to the family of Michelle, my heart goes out to all of you. Michelle had the heart of an angel and I know that she will be watching over all of you. God saw you getting tired, a cure was not to be. He wrapped you in his loving arms and whispered “Come with me”. You suffered much in silence, your spirit did not bend. You faced your pain with courage, until the very end. God took you to His loving home and freed you from the pain. We will never forget your beautiful laughter!